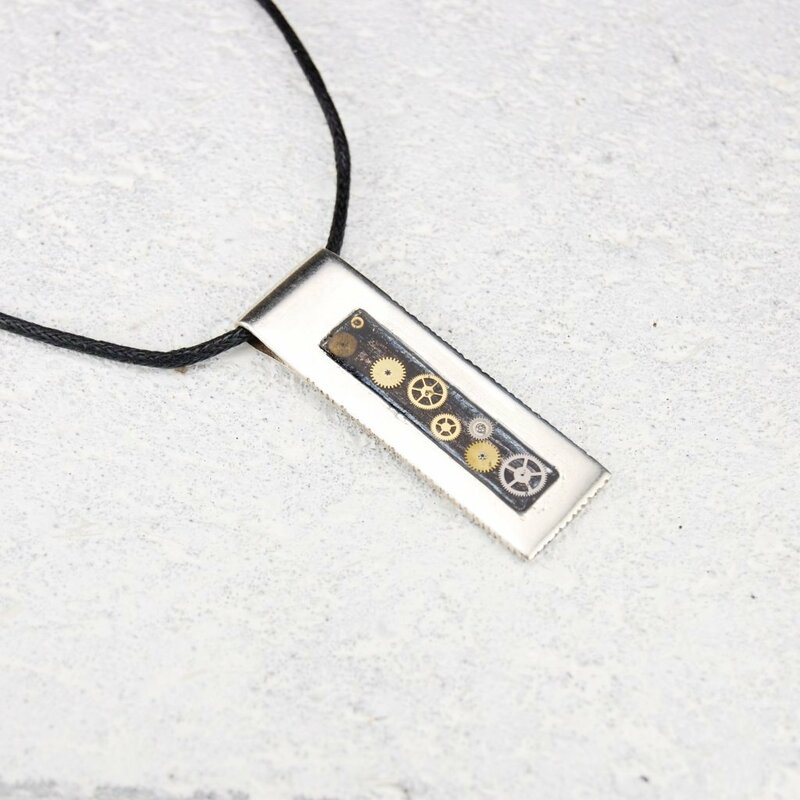 Stylish gear pendant. Sterling silver. 40mm x 12mm pendant. Pendant is on a 20 inch waxed cotton cord. *Gears vary from pendant to pendant making each piece unique. Gears in the pendant you receive may differ slightly from the pictures.